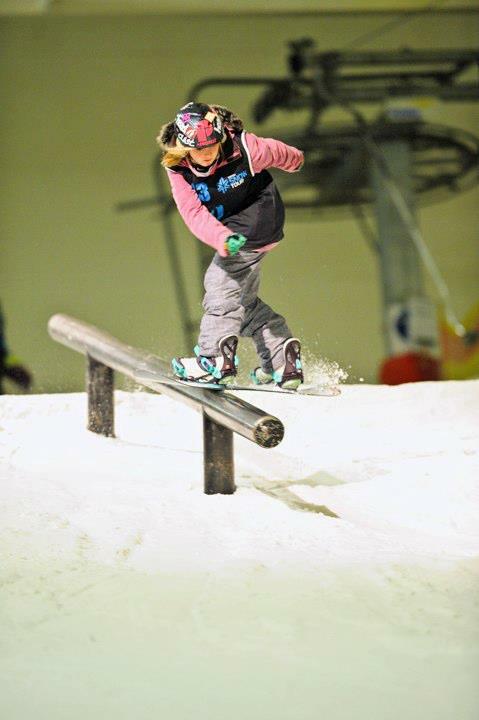 13 year old Freestyle Snowboarder Becky Menday was super excited this weekend to win the highly sought after title of 2012 British Indoor Champion at the British Indoor Snowboard Championships at Snozone, Castleford. The competition included riders from all over the country, with a strong contingent down from Scotland and the midlands. Becky was also competing against previous C hampion Lynsey Ashdown and Scottish Indoor Champion Vaila Chapman amongst others. To mix the event up a new format had been introduced; The kids and youth categories would still have a two run format with the best run deciding their positions. Becky took gold in the youth category and then moved on to the new format Jam session. This session would start with all riders of all ages competing over all features for two hours then the field would be halved by the judges. Those that survived the first cut would then compete on one set of three features with a time limit, then another cut. This would continue for two more zones until only four riders from the females and 4 riders from the males would compete on the last feature. Becky really enjoyed the new format and showcased her strong range of rail tricks including 270 on to the street rail, back and front lips and various rotations on and off all features some with grabs. She passed through all the cuts with confident and styled runs, impressing the judges and other riders. Her final position would not be revealed until the prize giving announcements a short while later and it was a tense moment waiting to hear the final positions. 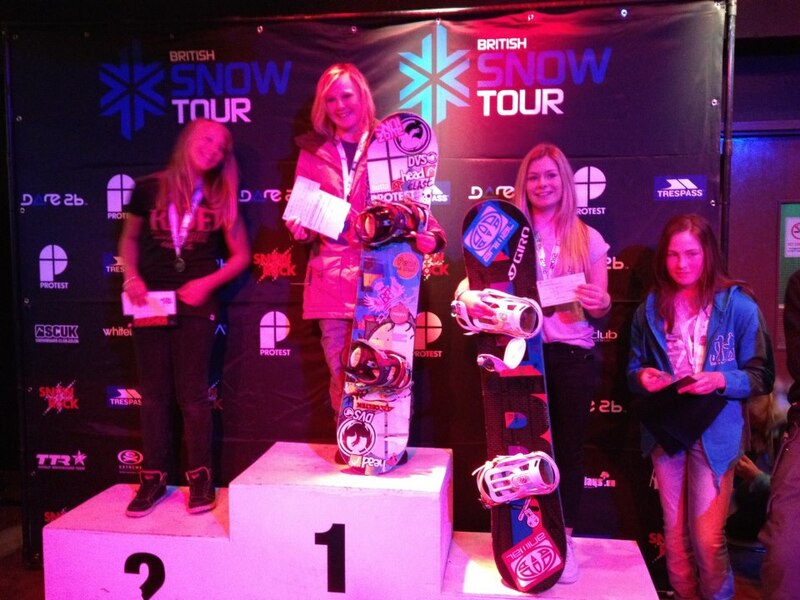 She was really pleased to walk away with Gold medals for both the Youth category and for Overall Female, also taking the coveted title of British Indoor Champion 2012 and £100 and a weeks accommodation in the mountains in Morzine France. All of us here at urbansurfer would like to congratulate Becky on such an amazing success as her bright future continues to evolve. The Most Important Elements of Snowboard Fitness: How to avoid injuries, get snow fit and make the most out of your time on the slopes!